Pete Lau, OnePlus' CEO recently said in an interview that one of the features that he would like to include in a OnePlus device is fast wireless charging. It's true that the technology behind wireless charging isn't quite new, but there are some limitations that usually leads to design compromises. During an interview with a OnePlus employee, Pete Lau revealed that his company continues to test fast wireless charging technology, but for the time being no OnePlus products will include it. FAST wireless charging. Without compromises. We have tested and will continue to test wireless charging technology going forward, but for now, we have not yet found a solution that meets our expectations for speed and convenience. This technology also still results in a thickening of the device and a heating of the device in the charging process. You probably remember the first reports that mentioned the fact that the OnePlus 6 doesn't include wireless charging because the company “didn't feel the need” to add it. Well, it appears that there's more to it than we originally thought. 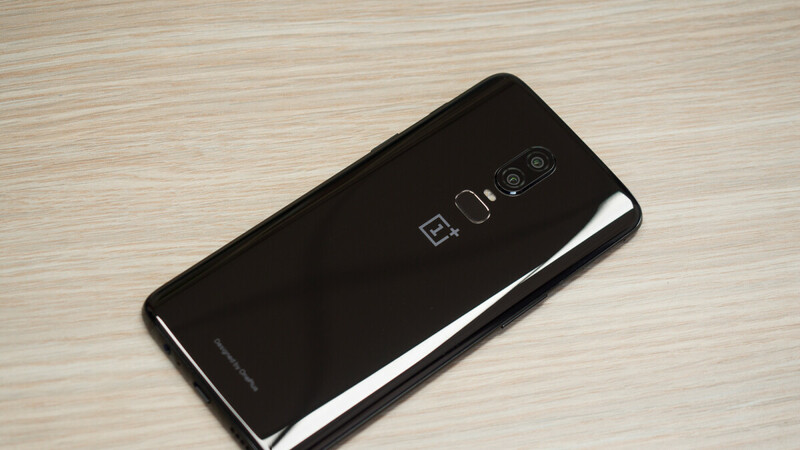 The addition of fast wireless technology would have probably forced OnePlus to slightly increase the thickness of its latest flagship, not to mention the heating issues the phone might have experienced if the technology wouldn't have been properly implemented. Still, it's encouraging that OnePlus is against making compromises when it comes to its top-tier products. It's also nice to know the company is always looking to improve its products with new technologies developed in its own labs. I wonder when he's going to admit that the 'notch' is notch yet ready for the prime time? Oh well, G'Day! Good.. Then remove the stupid glass back and re-introduce the metal back in OP6T..
Ummm, the midnight black still has a glass back... ALL OP6 phones have the glass back whether or not it looks like glass. Personally... don't need fast wireless charging. Just want to have decent wireless charging in the phone. Less wear and tear on the ports and eating away the liquidproofing. But hey, I'm an overnight charger which is why i dont care expressly about needing it fast. So long as wired fast charge remains. BUT FFS. CAN WE HAVE FIBREGLASS BACKS ON WIRELESS CHARGING PHONES. When your phone charges as fast as it does, why would one plus ever consider slow wireless charging. Samsung's wireless charging seems to be ready for prime time. It isn't just about the wireless charging capabilities alone. Yes, we want fast reliable wireless charging but it is the flexibility of having both in the mean time that is key for me. I like having the phone plugged in so I can use it if needed while charging it versus having it charging wirelessly then picking it up to use it and it stops charging. Using a battery case is not my first option to get around plugging in during the day as it generally adds too much bulk. Wireless Charging is a farce because: 1) Total efficiency (AC/DC charger + Tx Pad + Rx Pad + AC/DC conversion + Battery charger) cannot be as good as the fast charging using USB-C cable. Anyone who embraces low carbon emission and environment friendliness is insane to adopt it. 2) Any smartphone which support wireless charging should have already come with a fast charger free of charge (except Apple). Why pay another US$30 at least for an additional wireless charger pad which is so un-green? 3) Inside the smartphone, the wireless receiver coil sits next to the li-ion battery. In addition, an AC/DC sub-system is need to convert AC back to DC. These generate heat (go up higher when wireless charging goes faster) hence fast wireless charging cannot be made cheap and practical. 4) Fast wireless charging means higher energy to be transmitted wirelessly. The leaked EMI can be damaging to human brains especially those of children. Would any sane parent want to harm their children because of the perceived convenience?
" we have not yet found a solution that meets our expectations for speed and convenience" In layman's term, you did not put the wireless charging because you can't sell the phone at a low price with it. Lame excuse OnePlus. Actually, in layman's terms.... You don't put subpar tech in a high tech device. It's like putting a 4 cylinder in a Ferrari. I bet the OP 6T or OP 7 will have wireless charging.